Good evening everyone! I hope you are all having a lovely day! Tonight I am dropping in to share week 5 of the 52 Week Nail Challenge. 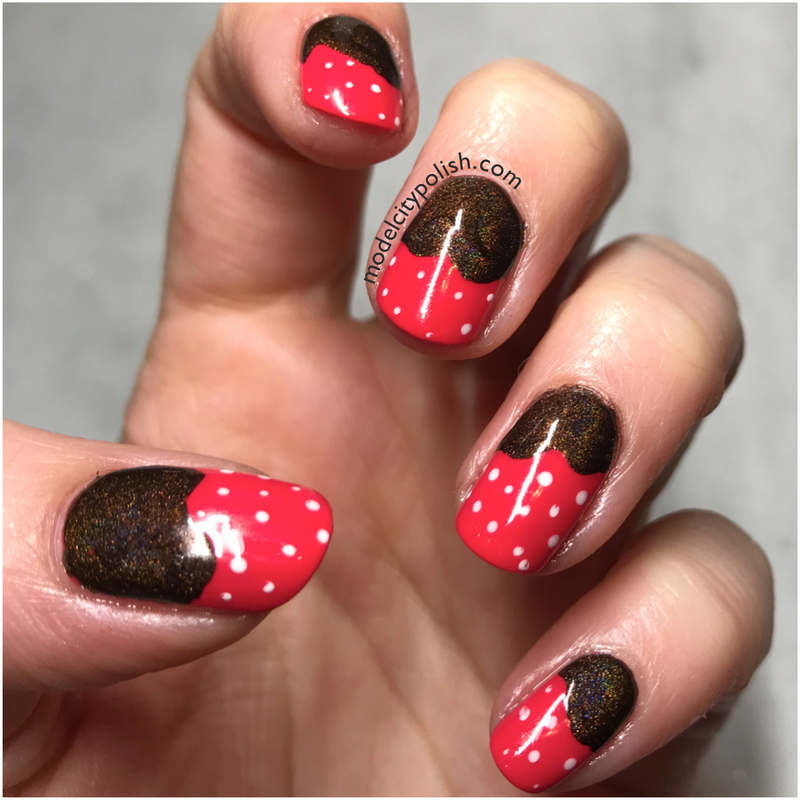 This week we are gearing up for Valentine’s Day and are doing some fun chocolate inspired nails. 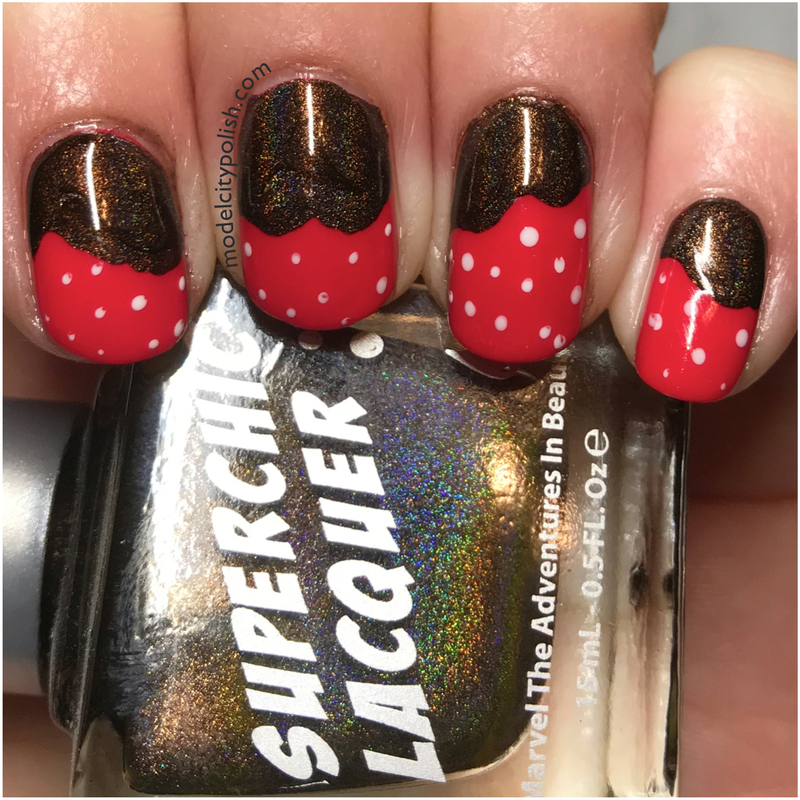 After various ideas I finally decided on going with some strawberries dipped in chocolate. For my strawberries I started off with two coats of Sonja by Zoya. This was the perfect berry red creme! Next I used Snow White from Zoya to create a somewhat seed look. 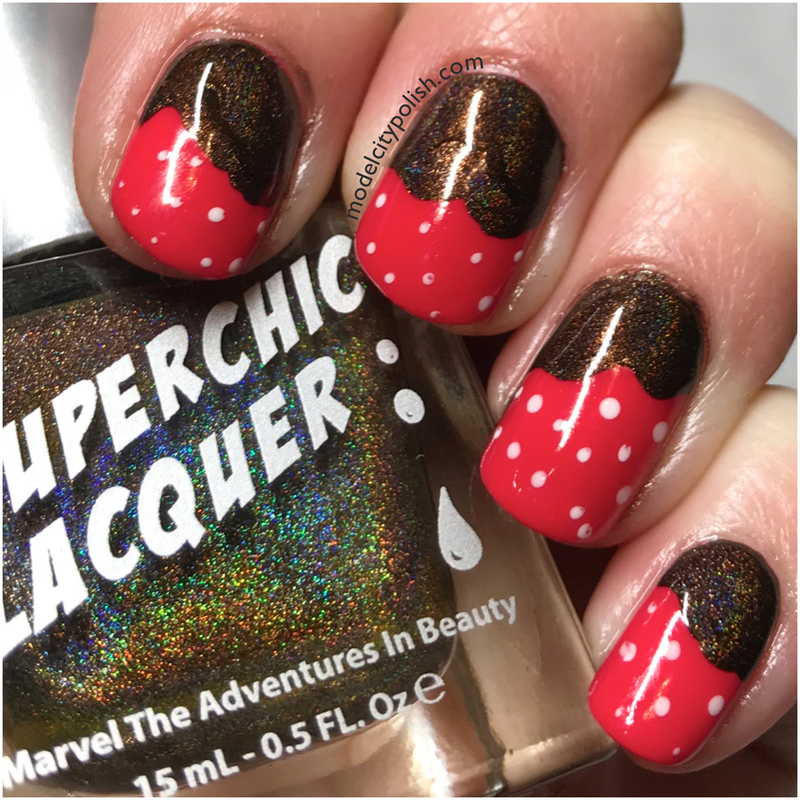 Lastly I used Awesome Sauce from SuperChic Lacquer to create a wet chocolate look, and who can’t say no to a little holo thrown in. Everything is sealed with two coats of Marvel Liquid Macro Top Coat by SuperChic Lacquer. Perfect for Valentine’s Day AND making me crave sweets. Great manicure. It’s just perfect for the theme. 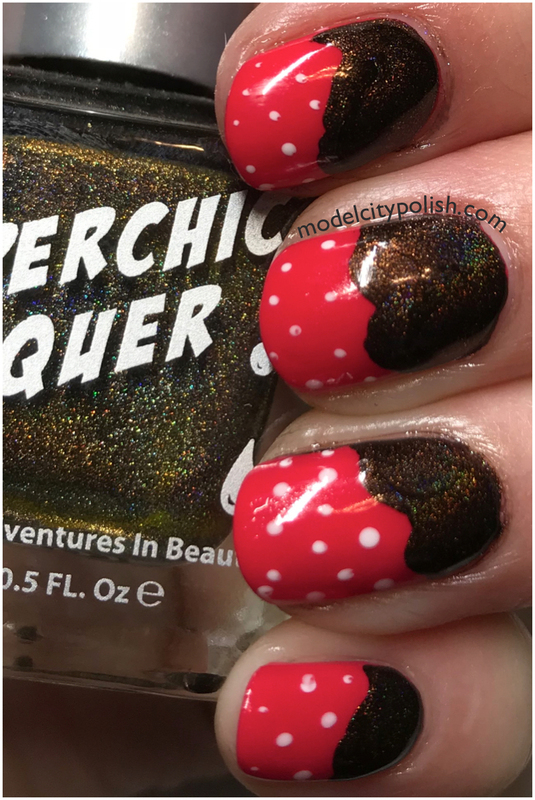 I love that Superchic polish. That SuperChic is one of my favorite holos, perfect all year long!!! Thanks! I am pretty happy with the results! This is such a cute mani and idea! I may be “borrowing” this idea!!! Borrow away!!!! I will keep an eye out for your version! I love this idea. It’s so cute and fun. I may even attempt it. It was my first attempt at a stamp jelly sandwich and so happy with how it turned out. I hope you do give it a try! This is so cool and perfect for vday!